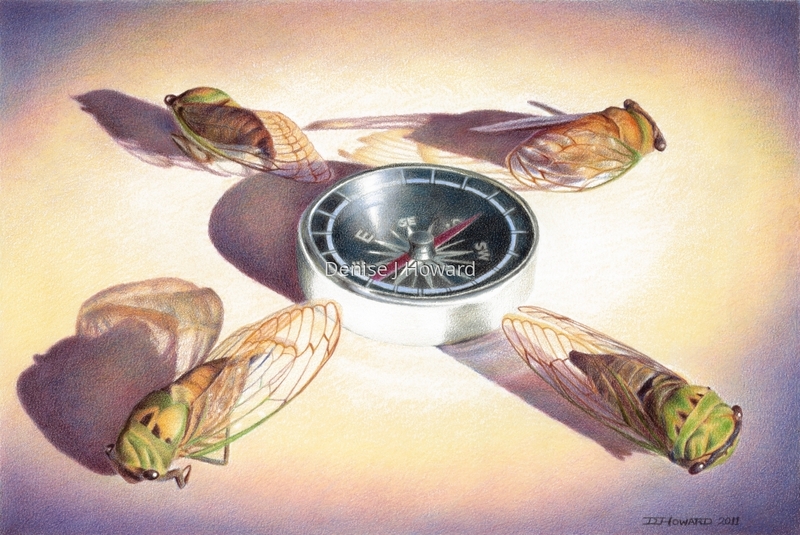 Whenever large, cyclic broods of cicadas return to fill the air with their buzzing, everyone asks each other "Where do they come from, anyway?" Colored pencil on Stonehenge paper. Exhibited in CPSA International Exhibition, 2012. Finalist, Richeson 75 Still Life & Floral online exhibition, 2013. 5" x 7.5"8" x 12"11" x 16.5"